A few weeks ago I was fortunate to experience the precise but full-blooded playing of Australia’s Slava Grigoryan in trio with US guitar magus Ralph Towner and German jazzman Wolfgang Muthspiel. At the time I was reminded of a particular beauty inherent in acoustic instruments – apart from their lovely natural tones, there are far fewer steps between the player’s expression and the listener’s ear. In effect, especially when all the planets align, it is nothing but a piece of wood or two between their heart and yours. I also came away from the Towner trio gig thinking how unclassifiable this music was – jazz? classical? ‘world’?. And then I thought: who cares? And then I thought: I really need to get hold of more of this stuff. 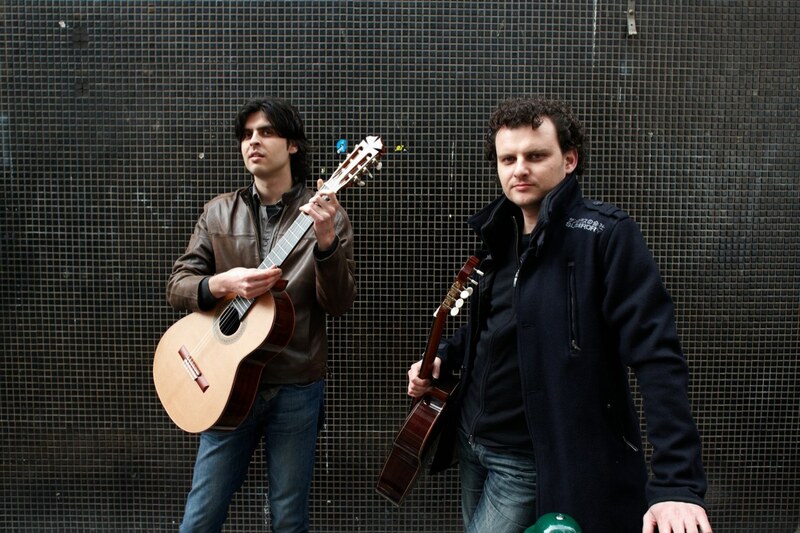 So I was delighted when the Grigoryan Brothers’ – Slava with his brother Leonard Grigoryan – new duo CD, This Time, dropped into my review box out of the blue. And from the first glacial eighth-note rhythms of Leonard Grigoryan’s title tune, ‘This Time’ I was held. The tune – as with Leonard’s other piece here, ‘After Dark’ – unfolds themes and moods as if in a play or short story. The effect, being so minimal in instrumentation, is of being in a darkened room, with scenes briefly illuminated only to fade away again until the next one glows into view. You go with it as you go with the sequence of a dream, following its unique logic with no resistance. Slava’s trio buddy Ralph Towner is drawn upon for two compositions here: ‘Duende’, which Towner performed solo at the trio show and ‘Sarabande’. ‘Duende’ (an Iberian word meaning either ‘soul’ or a ’goblin’) has a suggestion of the classical guitar’s Spanish roots without seeming to ever actually go native. The Towner trio show was opened by Slava, solo, with a sparkling and focussed improvisation which lead into William Lovelady’s ‘Incantation No.6’. One of its sister pieces, Lovelady’s ‘Incantation No.2’, played in duo, appears here – incanting lively sprites and spirits of some sunlit forest with its dancing, pagan spell. Apart from the Towner pieces and the Lovelady work, the brothers have selected works by Luke Howard (who also contributes piano and subtle synthesizer drones), producer Shaun Rigney (the beautifully circular ‘Two Swings In A Heart-Shaped Garden’) and Australian classical guitar composer Philip Houghton. The Houghton piece, ‘Wave Radiance’, which closes the album, is music from another sphere – a sphere where melody and harmony are, in the best spirit of brave new twenty-first century (or twentieth century in all but name) music, ground down to a diamond dust of textures, patinas and colour-fields. It is fearless and it is unselfconsciously new and it is awfully lovely. But the centerpiece of This Time – by both position and conceptual weight – is Nigel Westlake’s mesmerising 6-part suite ‘Mosstrooper Peak’. Written by Westlake to mark six sites along The Great Barrier Reef – one part of the suite for each location – where his family has erected memorials to their son sadly taken from them in 2008, it is monumental in its depth, invention and plain guts. Ranging from the sunblasted stillness of first movement ‘Burning Point’ (conjuring Peter Sculthorpe’s solar Australian alienscapes), through second movement “Mosstrooper Peak”’s Bartokian half-tone melodies, to the savagery of closing movement ‘Smokey Bay’ – where you can hear a father’s raw anguish in chopped muted chords dissolve into the resigned dulled pearl notes of a broken heart – the scope of the ‘Mosstrooper Peak’ suite is staggering. Each year one particular album jumps out at me – through sheer brilliance, originality and just plain magic – out of the number of works that I review. A few years back it was a free jazz album, the year after it was a female indie songwriter, then a current work by a superstar of the 1970s. 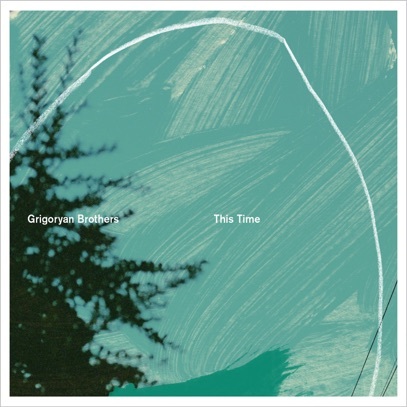 This year it is this album – This Time by the Grigoryan Brothers. Yes, it is beautifully composed, played, conceived, and recorded (in Oslo’s RainbowStudio by ex-ECM whizz Jan Erik Kongshaug), but all that fades away when the magic comes out. And it is the magic here that stops time, puts you in that special place of sunlit pleasure (or moonlit dreaming) and fills you up like food, or wine. Or love.